Rhodopsin is a light-driven G protein-coupled receptor mediating signal transduction in eyes. 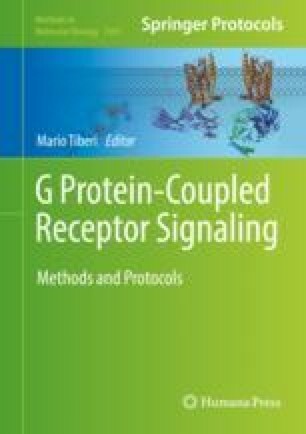 The molecular dynamics (MD) simulations are powerful computational tools to investigate molecular behavior of proteins and internal water molecules which are related to the function of proteins; however, the MD simulations of the rhodopsin require several technical setups for accurate calculations. This chapter discusses practical methods for setting up the MD simulations of the rhodopsin [preparation of initial systems, condition files for MD simulation package GROMACS, and data analysis]. The data analysis includes the root mean square deviation (RMSD) and mapping of accessibility of water molecules. This work is supported in part by MEXT (Ministry of Education, Culture, Sports, Science and Technology) Grant-in-Aid for the Program for Leading Graduate Schools, Keio University Doctorate Student Grant-in-Aid Program, and a Bilateral Program JSPS. E.Y. was supported by MEXT Grant-in-Aid for the “Building of Consortia for the Development of Human Resources in Science and Technology”.